Ever wonder what happens during shows in case of emergencies? Well, in case of blackouts, the show must go on! The cast of REP’s “Father’s Day” [Liesl Batucan, Miguel Faustmann, Andres Borromeo, Rachel Coates] had to perform the entire first act with minimal work lights (power came back during intermission) and no lapel microphones during Friday night’s performance! We asked Liesl Batucan, the company’s managing director who also played one of the leads in the show, about her and her cast members’ experience. What was it like to perform without electricity? To be honest, it was quite exhilarating. Passion to tell the story gets a renewed fresh infusion. Commitment to the audience gets jacked up 200%. We did a quick Team Huddle backstage, and we were like: Let’s Do This!!! On the technical side, in the absence of lapel mics that night, we were on full diaphragmatic support mode for vocal projection. It suddenly felt like the good old days, so to speak. Back at Shang in the ‘90s, when I started out at REP, we never used lapels for straight plays. Miguel is quite used to it, and so am I. But then we’ve been doing this for decades. So I was very proud of Andres, who, though accustomed to the current practice of using lapel mics, had great vocal projection and clarity. That’s the REP training. Is there normally a contingency plan for something like that? If the power failure occurs before the show—which is what happened in our case—there are usually 3 options available to the audience: 1) a refund; 2) coming back to watch the show on another schedule; 3) watching the performance sans electricity. In our case, it was already open-house and the audience members who came early were already comfortably seated inside the theater. Our REP President and CEO Mindy Perez-Rubio was with us at Onstage when the power went out. She addressed the audience and gave the options and said that at REP, the show must go on. The beautiful amazing thing is, given the options, the audience unanimously chose for the show to go on. They got very animated and exhilarated with the prospect of seeing how the show would unfold without the technical support of full lighting design, sound design and lapel mics. 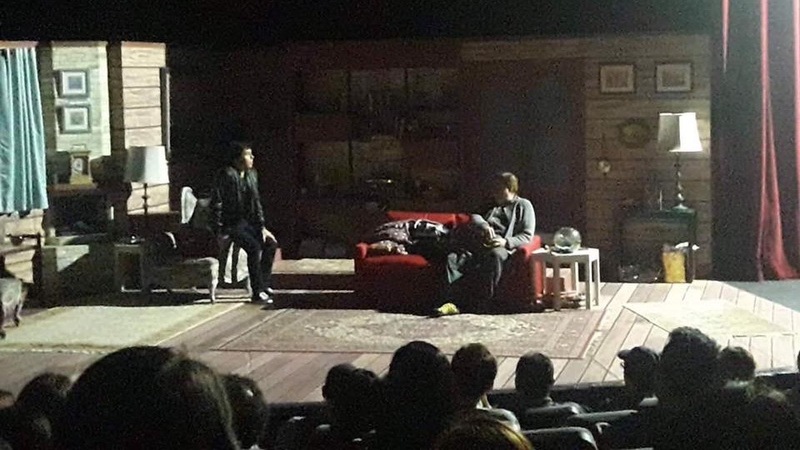 Thankfully, REP is blessed with audiences who are truly avid theater lovers and aficionados and so this scenario was actually thrilling to them—they felt privileged to be treated to a theatrical experience that was unexpected and out of the ordinary. Someone even said they wanted to “experience” what they felt would be akin to what Shakespeare’s audiences experienced back at the Globe. Has anything like this happened to you before? Oh gosh yes. And it’s a combination of hilarious and stressful but ultimately fun and rewarding. One instance was REP’s IT HAD TO BE YOU at the RCBC Theater. There was a power failure right smack in the middle of the show. Everything went out for a few minutes. But thankfully, my character Theda Blau was supposed to be this down-and-out actress struggling to make ends meet. So I just ad-libbed something about my flat’s power being cut for my non-payment of my electricity bill. Haha hilarious! This got great laughs from the audience. They were completely in on the joke. The laughter, I felt, was actually also tinged with communal relief (laughs) because the audience empathetically becomes nervous for the actor in a sudden power failure. To continue answering your question, another adverse condition/emergency situation was when a co-actor suddenly got sick (acute shingles), so I had to cram memorizing all her lines before the evening performance. The time crunch was quite nerve-wracking but again, our training with Tita Bibot [Amador] is that come hell or high water, the show must go on. So you need to Soldier On. Some audience members also wrote about their experience. 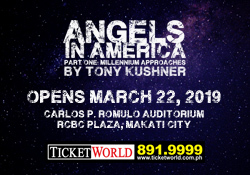 Founder and Managing Director of TheaterFansManila.com. Thinks about the performing arts scene 2/3 of the day, everyday. A firm believer in the Filipino artist. Previous Stephanie Beatriz, Jimmy Smits, and More Join "In the Heights Film"